At the Olsen Law Offices here in San Diego, we believe in providing all injury victims with the finest legal representation possible. This is especially important for lawsuits following auto accidents resulting in injury or death. It's always our goal to represent all clients of all ages and provide them with the legal counsel that they deserve. This is particularly crucial for elderly motorists, as you are about to read. Statistics have shown that in general, elderly motorists are often the safest drivers on the road. There are a number of reasons why this is the case. Are elderly motorists at risk for serious injuries? 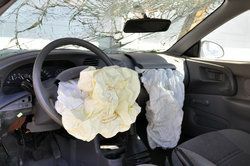 While elderly drivers are generally the safest on the road, the fact of the matter is that they are also more likely to suffer injuries following an auto accident. Even small collisions that would otherwise be minor fender benders might be the cause of some sort of injury. As people grow older, their bodies become more vulnerable and susceptible to injury. Bones may become weakened with time, for instance, and joints may be less flexible and more likely to suffer major harm even from very minor impacts and incidents. It's because of this that elderly motorists need to exercise great caution while behind the wheel. Elderly drivers should continue to drive carefully and cautiously as they always do. This is a sure means of protecting themselves from harm. In addition to driving safely, it's important to get your vehicle regularly serviced to ensure that it is in proper working order. This includes replacing tires, windshield wipers, and headlight bulbs as well. In terms of general wellness, it's a good idea for elderly motorists to remain in good health and to visit their doctors regularly. Keeping glasses prescriptions and hearing aids current is a fine way of making sure that you are as safe as possible while behind the wheel. Following a serious auto accident, it's important that injury victims and their loved ones have skilled legal professionals on their side. Our lawyers will fight for those who have been harmed in a motor vehicle collision, no matter their age, and help seek damages to cover medical bills and other losses and hardships that have been experienced. We will be on your side every step of the way. To learn more about your legal options following a serious auto accident, it's important that you contact our personal injury lawyers today. The legal team here at Olsen Law Offices will fight diligently for you and your loved ones to ensure you receive just compensation for injuries sustained.